NYC Geocoded Real Estate Sales - Baruch Geoportal - Baruch College Confluence Service has expired. To create additional diagrams and support the development of this product	please purchase a license. Datasets on this page are licensed under a Creative Commons Attribution-NonCommercial-NoDerivatives 4.0 International License. 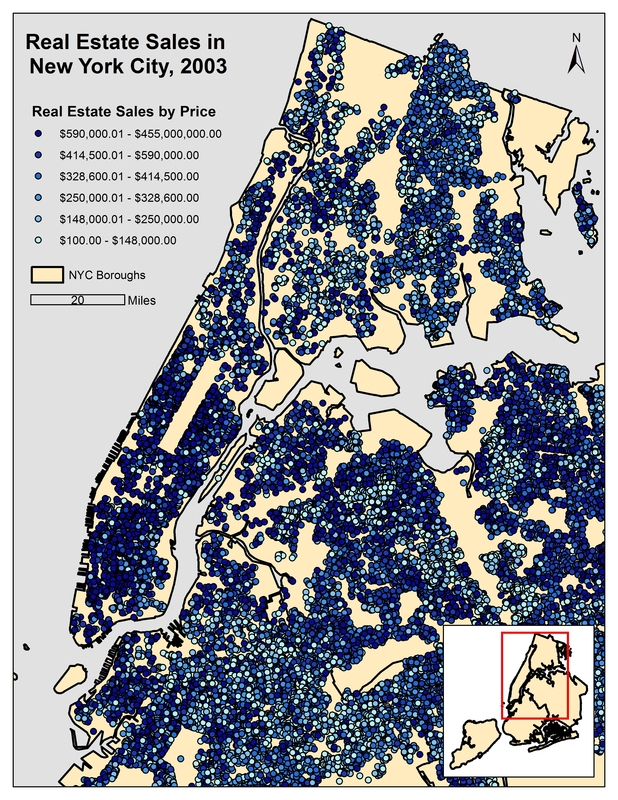 The datasets on this page were produced by the GIS Lab at the Newman Library of Baruch College, CUNY, by aggregating annual data produced by the NYC Department of Finance and geocoding it using the NYC Geoclient API. The point-based data represents either a street address or property centroid for every single real estate transaction in the five boroughs for a specific year; given the vertical nature of NYC real estate, please note that many transactions / points will occupy the same location. The data is available as one collection in a Spatialite / SQLite geodatabase or as individual shapefiles for a given year, projected in NAD 83 NY State Plane Long Island (feet). Please review the metadata for a description of the contents, creation, and use limitations of the data (intended for non-commercial use for basic geographic analysis and mapping purposes). The data will be updated annually.